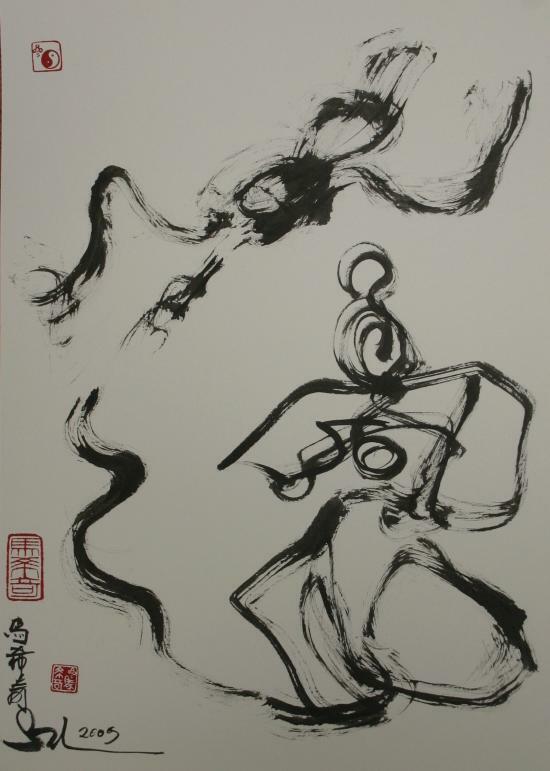 The transition from the Mongolian ruled Yuan Dynasty to the Ming was ushered in by Zhu Yuanzhong, or 'Zhudi' who credited his victory to Zhenwu the pole-star deity associated with the Wudang mountain daoist traditions. Within the next generation, Wudangshan and daoist monk Zhang Sanfeng were to become the objects of great interest to the new emperor and his dubious successor as they heaped patronage on the temple in order to gain spiritual favour and maintain imperial stability. 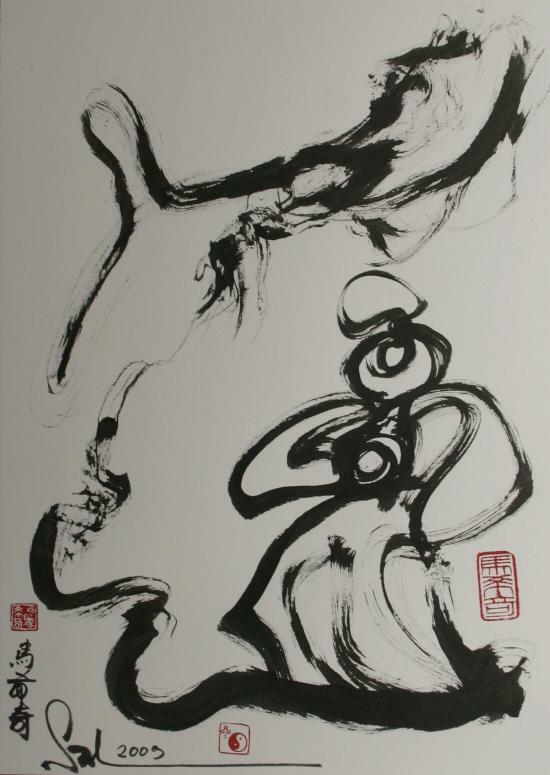 These characters are at the heart of the taiji origin legends. 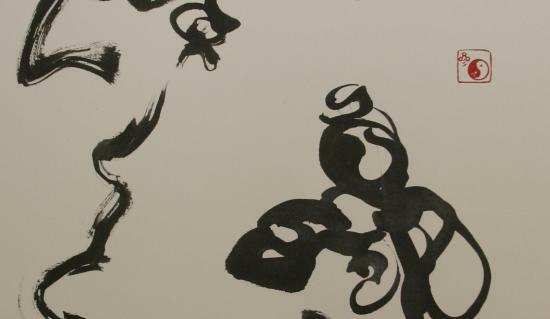 Each of the twenty-one 26x36 cm mohui paintings (墨繪) are made from a single, continuous, energetic ink-brush stroke. They are intended to evoke the the nature of the main characters and the primal forces that move them. They range from 250-450 (US$) in price (pricing guide here). Contact here to arrange purchase. Series countdown: 10 of the original twenty-one paintings are still available. 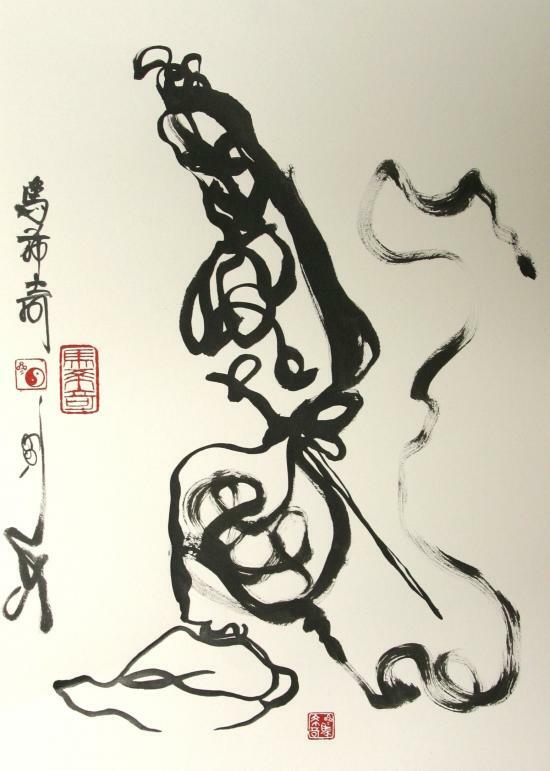 Zhenwu: The first series contains eight paintings portraying Zhenwu; with his long sword and jet black hair, keeping a tortoise and snake underfoot. 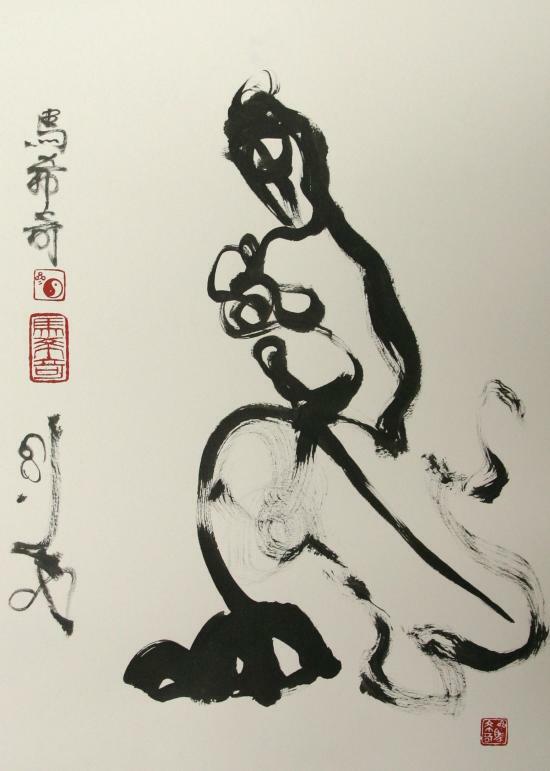 The Zhenwu character has evolved for over 2200 years in Chinese spiritual lore and in this incarnation represents the subduing and sublimating of primal, visceral energies that, if allowed to run amuk, bring chaos and destruction. 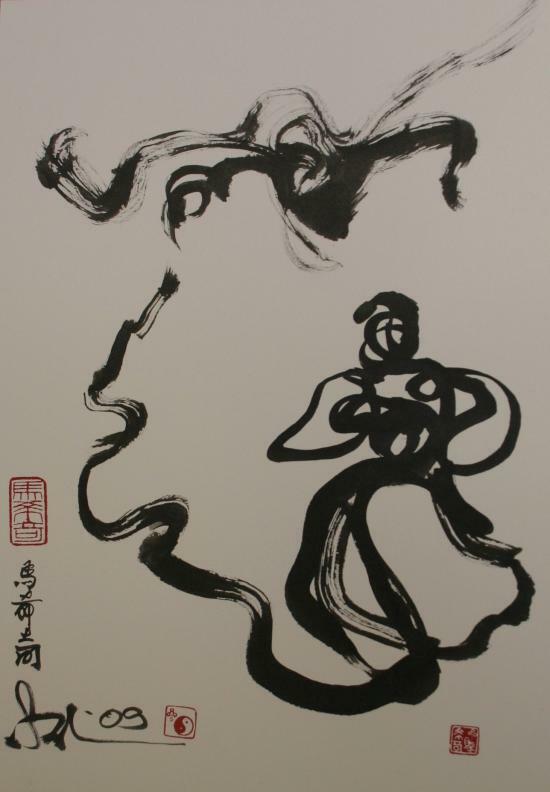 Zhang Sanfeng: The second series of thirteen pieces depict Zhang Sanfeng, the apocryphal founder of taijiquan, in his moment of enlightenment as he witnesses a battle between a serpent and a bird and conceives a martial art based on the concept of yin and yang.